At the end of the dressage, Sandra Auffarth and Opgun Louvo for Germany are in the lead on a score of 35.2. William and Chilli are in 2nd place on 37.5 and Jock Paget and Clifton Promise for New Zealand are in 3rd on 38. 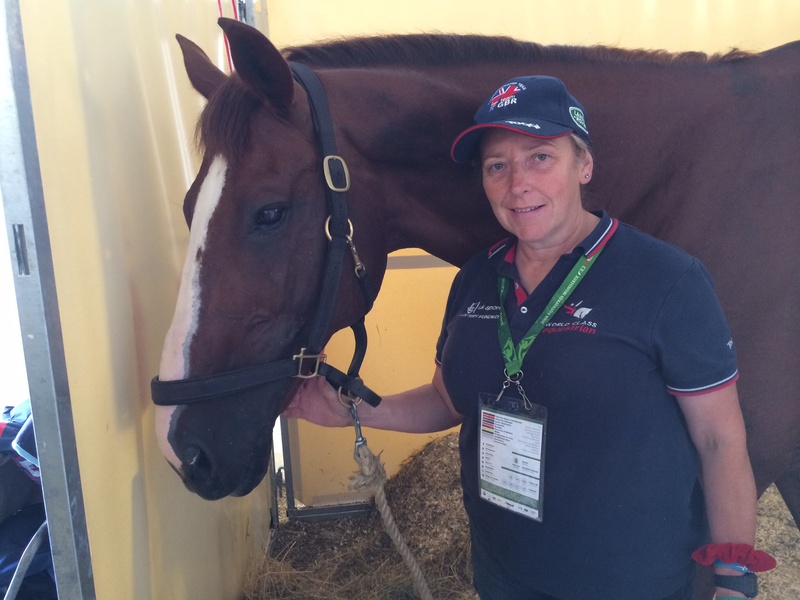 British riders:- Nicola Wilson and Annie Clover (competing as individuals) are in 16th place on a score of 46, Oli and Black Tie (also individuals) are in 21st on 47.2, Tina and De Novo News are in 34th on 50, Zara and High Kingdom are in 53rd on 54.5 and Harry and Wild Lone are 59th on 56.3. William has spoken about the course; "there are many questions without anything particular standing out (as being the hardest fence). However, the castle fence with the shields where there is an ambiguous distance to the ditch fence (fence 11 Les Guerriers De Guillaume) could catch some out, while the waters are really demanding. But I think the effect will be cumulative and on this ground I believe some horses will finally come up with the wrong answers." The BBC are showing live cross country on the red button from approximately 9.15am. You can also watch it via www.feitv.org.